So I found myself on Friday trekking home at 9pm after three days in London, exhausted, with a large bag of work books (I have an article to write on the Ottoman and Safavid Empires in the 17th century and the deadline is very soon – what else is new? ), 2kg of 36-month old Parmesan, a large patty pan squash, a jar of redcurrant jelly (thank you George and Tina) and a box of organic grapes grown by the dad of a friend from work (thank you Yasemin). A month ago a friend made some grape jelly and this gave me an idea for the grapes. 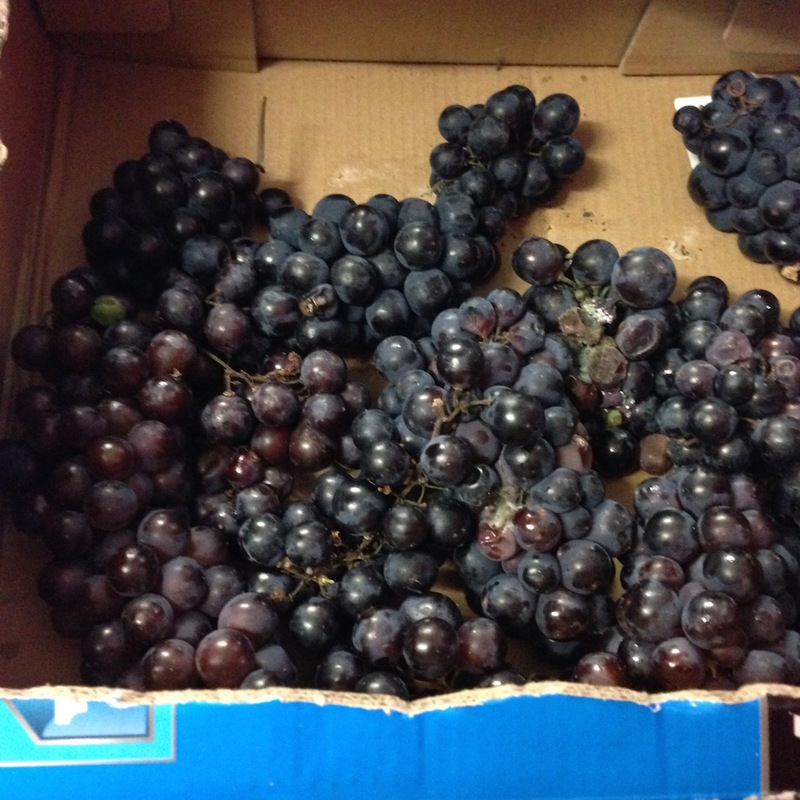 I don’t think grapes have much pectin in them. You can buy sugar with extra pectin and you can probably buy pectin in a bottle or something, but I don’t do this, I just add some high-pectin fruit to whatever I am making. 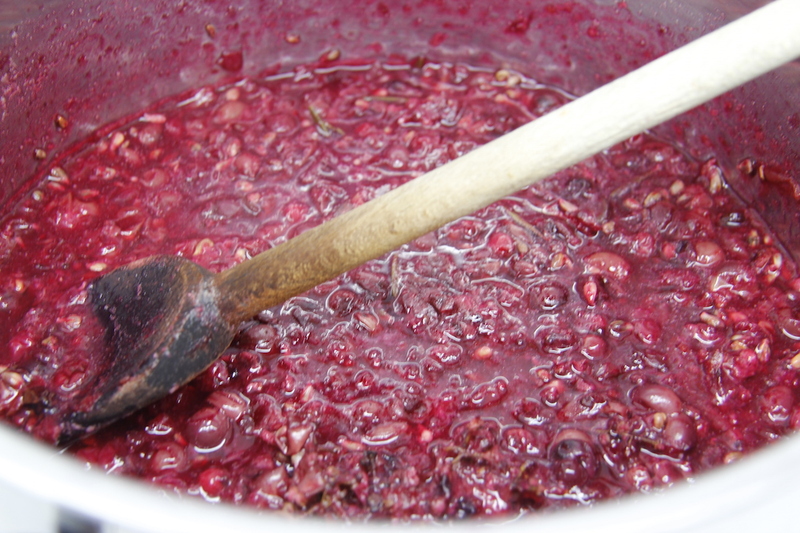 I was tempted to make a grape and apple jelly, but at the last minute decided on redcurrants instead – who knows why. I also decided to add rosemary as I wanted it to be primarily a savory jelly to have with cheese and ham – possibly I could/should have added more rosemary to this. 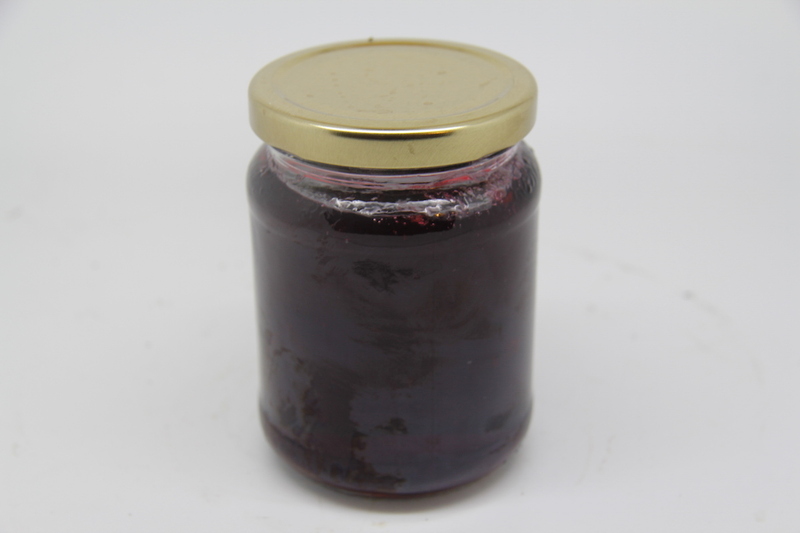 Grape, Redcurrant and Rosemary Jelly: grapes, redcurrants, rosemary, sugar. 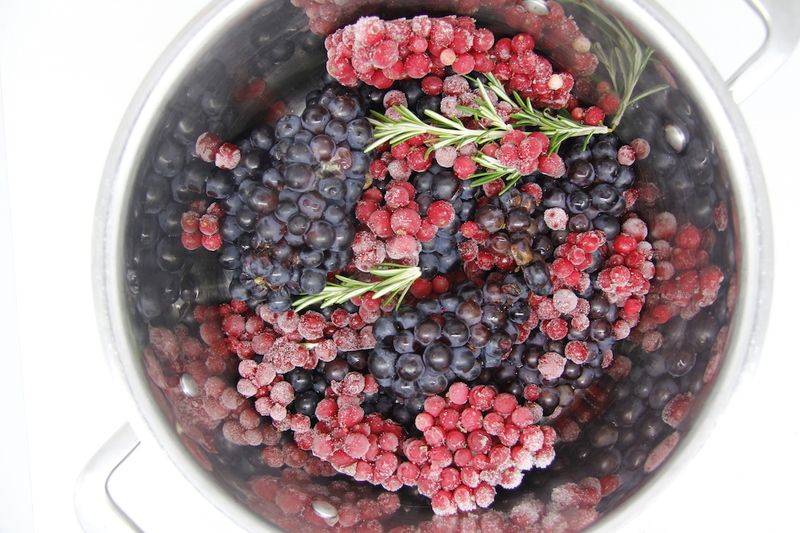 Put the grapes, redcurrants and rosemary in a pan. Add a splosh of water. Heat gently until they start to release some liquid. Simmer and squish, simmer and squish, simmer and squish until they seem done. About 15 minutes, maybe a little longer. Strain through a straining bag or a tea-towel or cheesecloth etc etc – at least for an hour or so, I did it overnight as I got distracted doing other tasks – maybe planting leeks and lettuce in the greenhouse – oh and doing the bees which of course involved me getting stung again. Measure the liquid you have and match it with the same amount of sugar. For example, if you have 600ml of liquid use 600g of sugar. Heat, boil until it reaches the setting point. Test for a set by doing the wrinkle test (see here for wrinkle test) on a small spoonful put on a cold saucer. Pour into sterilised jars and seal. This doesn’t take too long to do – I did it before breakfast – but I did have cake for breakfast to compensate for this sudden burst of energy on my part. 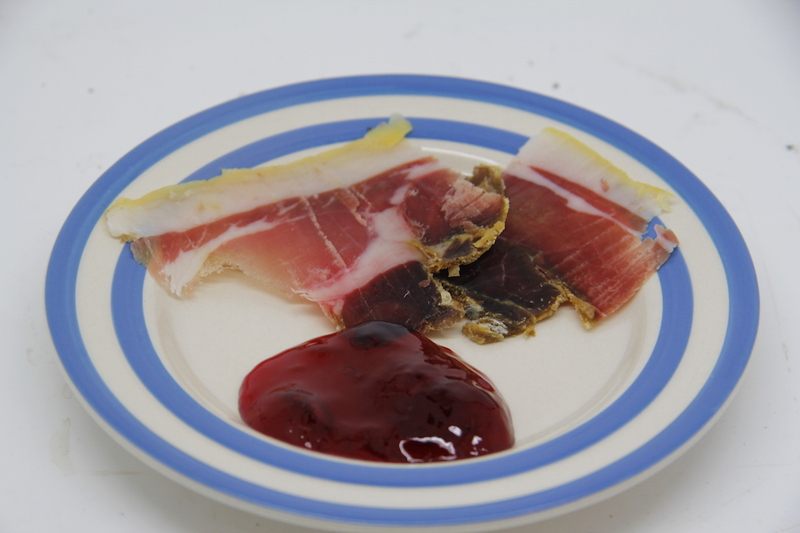 Goes well on toast, with cheese or with 12 month-old home-raised, rare-breed, home-cured prosciutto – but this is certainly a blog post for another day ……..
N.B. I need to get some grape vines – I can’t believe I don’t have any grape vines.